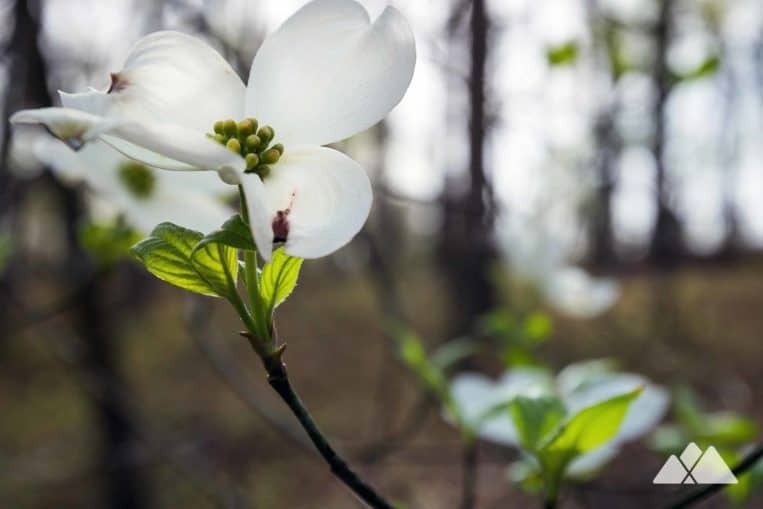 Run or hike the scenic Cheatham Hill Trail at Kennesaw Mountain National Battlefield, looping to Kolb’s Farm and exploring beautiful meadows, forest, and Civil War battlefields. Towering monuments, antique cannons, and battlefields scatter around Cheatham Hill in the shadow of nearby Kennesaw Mountain. While this trail’s route is steeped in Civil War history, it’s also drenched in natural beauty, too, with grassy meadows, trickling creeks, wildflowers, and flowering trees along its length. This two-trail duo at Kennesaw Mountain National Battlefield follows a moderately rolling 5.8-mile loop through a wide variety of beautiful landscapes at Cheatham Hill and Kolb Farm. 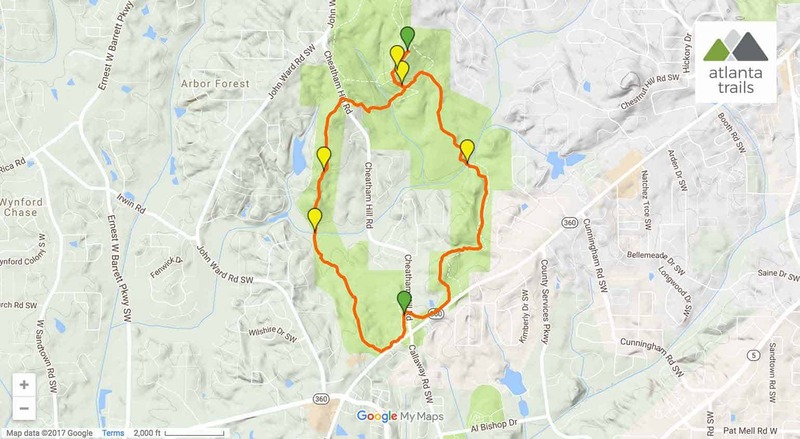 It’s one of our favorite metro-Atlanta trails for an in-town trail run or a scenic hike. Throughout the trail’s length, signs depict the site engagements on this Civil War battlefield that witnessed thousands of casualties 150 years ago. 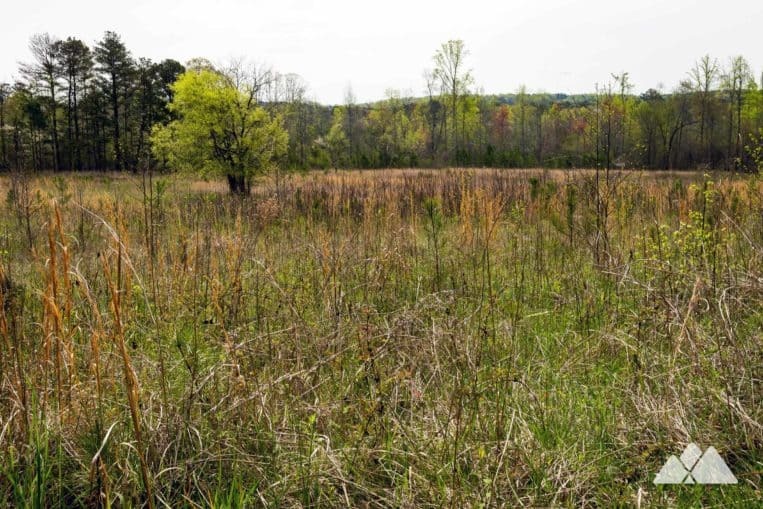 Earthworks punctuate the landscape, dug by entrenched Union and Confederate armies. The occasional cannon reminds of the staggering loss of life that happened here. But the passing of time and forest regrowth has regained the tranquility and beauty of the Cheatham Hill landscape, and it’s a beautiful place to explore, exercise and reflect. The adventure begins at the Cheatham Hill parking area trailhead (view maps and driving directions), descending elevation steadily through mounded Confederate earthworks and scattered cannons. The trail meets the recently-restored, towering Illinois Monument at .2 mile. The trail veers around the monument, passing a tunnel dug by Union troops in an attempt to break through the Confederate battle line. The Cheatham Hill Loop turns left at a trail junction, venturing south through a broad, cleared grassy meadow before diving into a leafy forest canopy. The route meanders southeast, passing battlefield earthworks and crossing a tumbling creek. Flowering trees and wildflowers explode into bloom in springtime, speckling the forest canopy and forest floor in a colorful display. The trail rolls elevation through a stream-filled forest, skirting the often-traffic-filled Powder Springs Road at 2.3 miles before passing the Kolb Farm parking area at 2.8 miles. The Kolb farmhouse, a log home built in 1836, and the venue for the Battle of Kolb’s Farm, is visible through tree cover across the busy street. The trail dives back into the serenity of the forest at 3 miles, leaving the sounds of traffic behind. The trail runs through several grassy clearings and sun-dappled forests, and passes a young bamboo thicket at 3.8 miles. The Cheatham Hill Trail explores a grassy wetland and crosses a metal bridge spanning John Ward Creek at 4 miles. 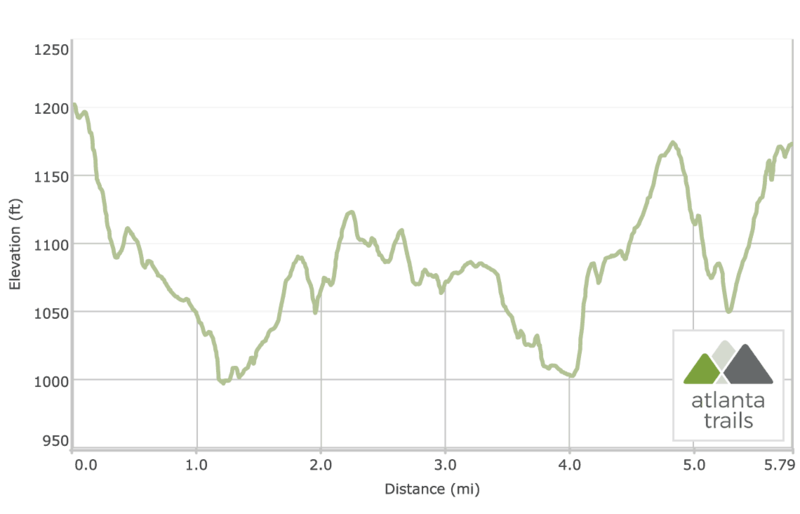 The trail climbs from the creek valley, steadily gaining elevation over the next mile as it veers northbound, looping back toward Cheatham Hill. The route alternates between grassy clearings and green forest, skirting several residential areas and crossing Cheatham Hill Road at 5 miles. The trail descends from the road crossing, reaching the end of the loop at 5.4 miles and turning left to hike north toward Cheatham Hill. 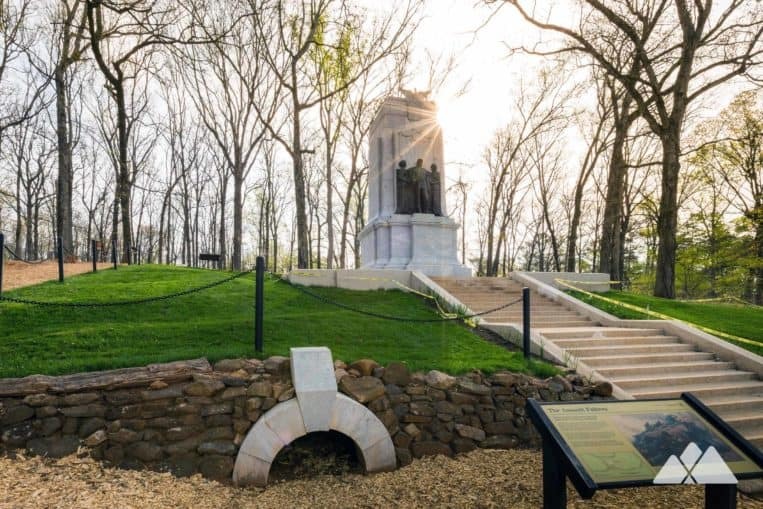 The trail turns right at the Illinois Monument, returning to the trailhead and completing the adventure at 5.8 miles. Explore more of Kennesaw Mountain’s history and natural beauty on an extensive (and growing) network of hiking and running trails. Explore battlefields, shady forest, mountain summits and beautiful views of the Atlanta skyline on our favorite Kennesaw Mountain trails.